head off?”…..“love to know from devotees a list of what obstacles he removed” ……”All tweets I put on Ganesha….unintended to hurt anyone’s sentiments…but if they did I sincerely apologize”…. Best wishes on Ganesha Chaturthi to all believers and fans. We have to admit, we do think of Ganesha as a cutie pie. Also he is mama’s golden boy and you know that no one crosses his mom and lives to tell about it (ask the demon Mahisha-Asura). BTW if you are curious to know how left-liberals think about Ganesha just follow Ram Gopal Varma on Twitter. RGV is originally from Vijayawada, Andhra Pradesh and he is a super-hit director in both the Hindi and Telugu film world. His top movie is Satya (we also rate Rangeela), which Danny Boyle has claimed as an inspiration for Slumdog Millionaire (that must be a first…a western director…for real or for show….claims to being inspired by Bollywood). In an ideal world, we would be most happy if the liberals established a hegemony in which we could crack jokes (even mean jokes) about religion and the religious…all of them. The sheer number of ridiculous religious leaders in India (and in the wider world) presents endless opportunities for (black) comedy. But we would propose to do it in a fair-minded and even-handed manner, or we are in danger of looking ridiculous ourselves. RGV we are sure, thinks twice about breaching some boundaries than others. Why is that? Poking the crocodile is a lot of fun…sure, but then why crawl back with the apologies? Be a big boy and dish it out and be prepared to accept the consequences…in the extreme case be prepared to go to jail and start a new life-edition as a free speech martyr (we fully support him in that battle). RGV considers himself as a man on a mission…to remove the cobwebs of superstition from the minds of deluded people. This is a fine and honest goal. Thomas Jefferson was also a man on a mission and he said that the tree of liberty must be refreshed from time to time with the blood of patriots and tyrants. RGV should have boldly stood up for (all) free speech and the free-flowing blood would have helped the tiny sapling to grow into a massive banyan tree. We did like some of the non-inflamed responses, especially the one by “Subodh” who made a sporting attempt to respond to Shri RGV (questions marked below in bold and in red). the gods that you worship, you should stop being so religious. of ‘bhakts’ and also their knowledge about their religion is very low. Here’s how you need to respond to silly questions..
more followers become bigger gods. 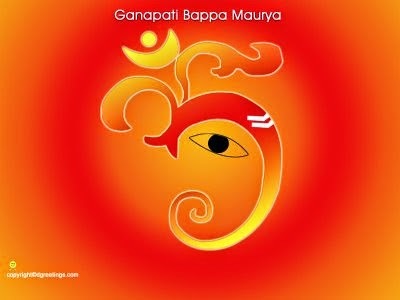 Q – Can someone tell me if today is the day Ganesha was originally born or is it the day his dad cut his head off? Q – Does Lord Ganesha eat with his hands or his trunk? Q – I have an innocent question…can someone please tell me how a Lord who couldn’t save his own head will save others heads? but is capable of saving heads of mere mortals. Q – Did Lord Ganesha have a paunch in his childhood too or did it develop in the recovery time of the elephant head operation? Q – Can someone explain how someone can cut off a child’s head who was just trying to protect his mother’s modesty? jackals and falcons just cannot compare to an elephant. given our Ganesha a very different temperament. be but exudes a more approachable friendliness. elephant-headed god in My Friend Ganesha. school jock didn’t always have to win the race. bride in an incautious moment. telling her a more “family-friendly” version of that story. whose wrath had to be appeased in order to save all creation. 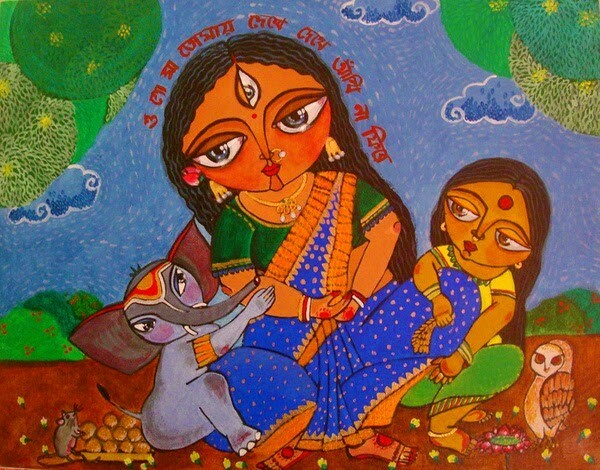 better bedtime story and gives Ganesha an extra dose of cuddliness. lovable have also been his greatest handicap. belongs to a different pantheon – more Disney than God. thongs and $79 yoga mats. she was not sure that anyone cared after the “third shot of tequila”. Were the companies intending to disrespect Hinduism? Probably not. turns him into a potbellied party prop.